Hi everybody, can someone help me, to solve my problem with commnunication error. ??? 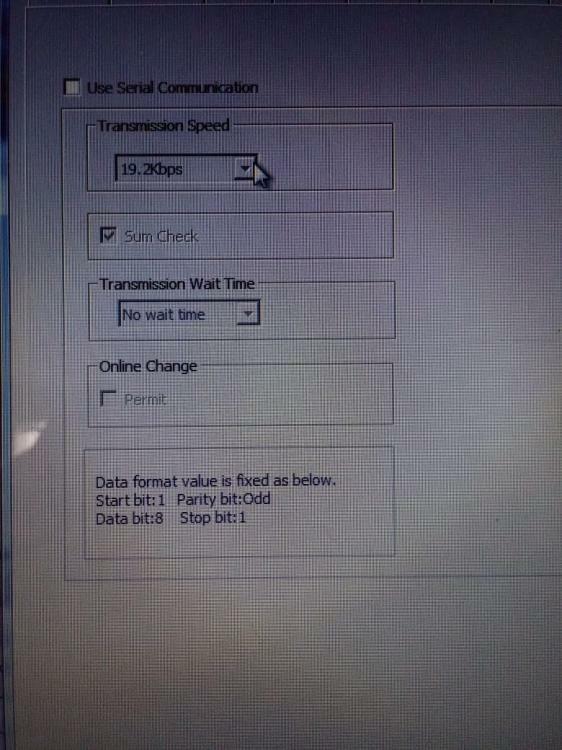 I have plc Q03UDVCPU using module QJ71C24N and HMI proface GP477R-EG11 using RS 422.. I will try it mr. Wasan. 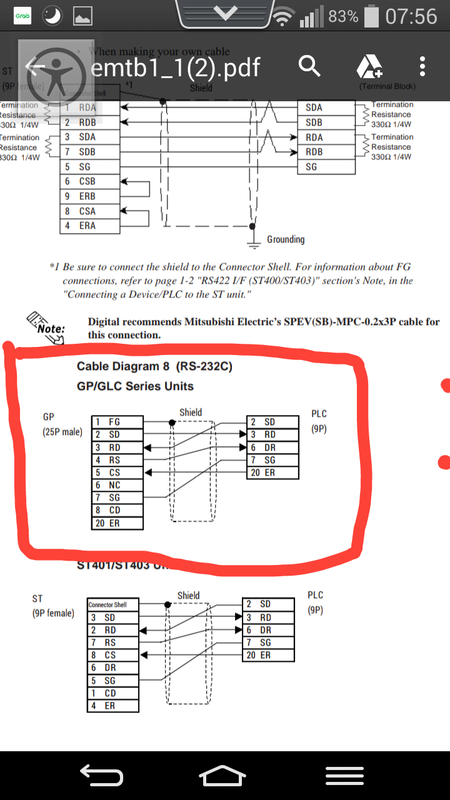 Thank you..
i have an ask question for this manual, now I try to connect the built rs 232 in Q02UCPU direct to proface hmi, is it right step I find the cable diagram for the connection? 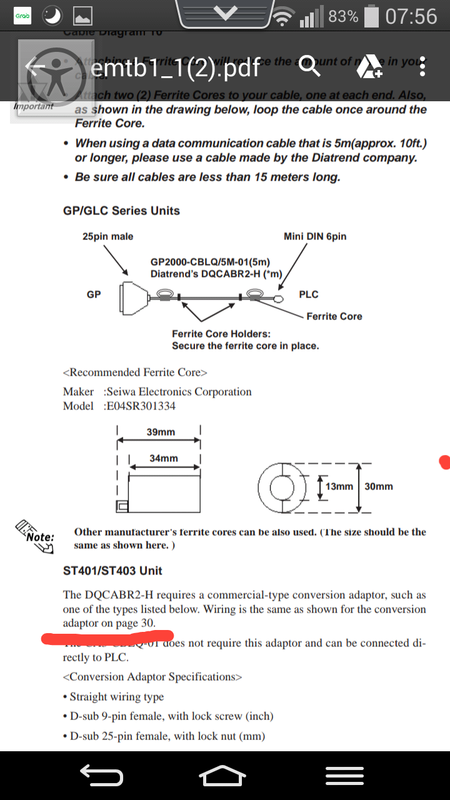 @diraemon Cable diagram 8 used with FX2N and RS-232 adapter. 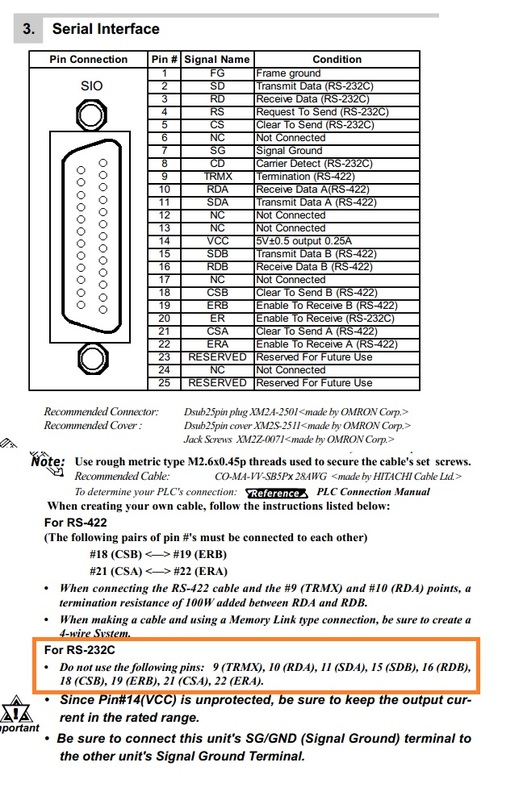 For Q Direct Connection you should use cable diagram 9 that convert from DB25 to DB9 pin and connect with Mitsubishi cable QC30R2. I have attached wiring diagram for these cables. Please check it. 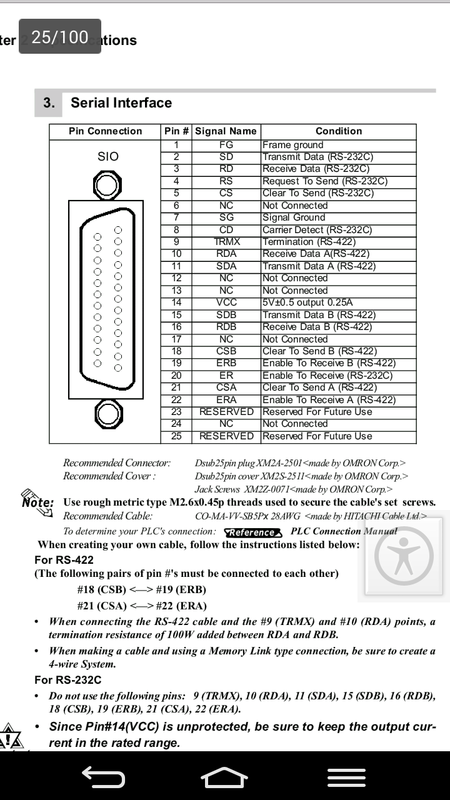 but @diraemon Cable diagram 8 used with FX2N and RS-232 adapter. 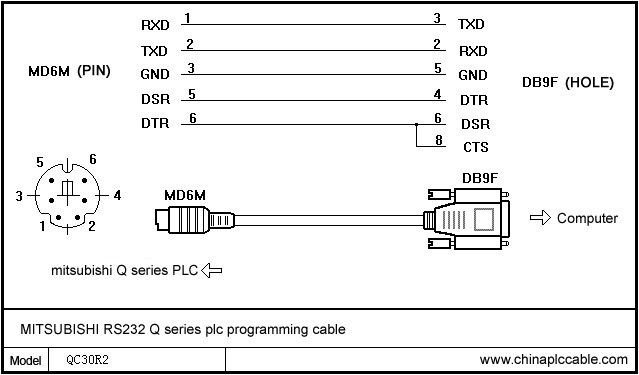 For Q Direct Connection you should use cable diagram 9 that convert from DB25 to DB9 pin and connect with Mitsubishi cable QC30R2. I have attached wiring diagram for these cables. Please check it. 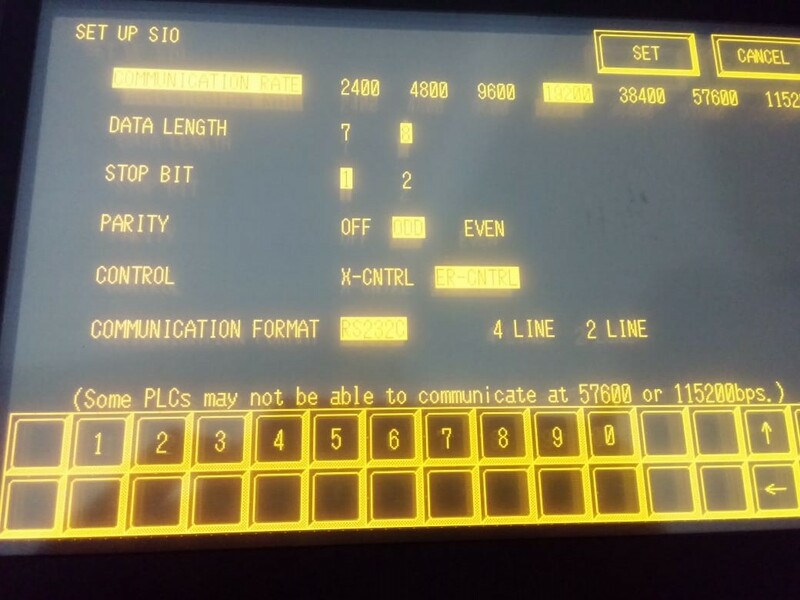 i have to confused I use HMI Proface GP477R and that is the serial communication. 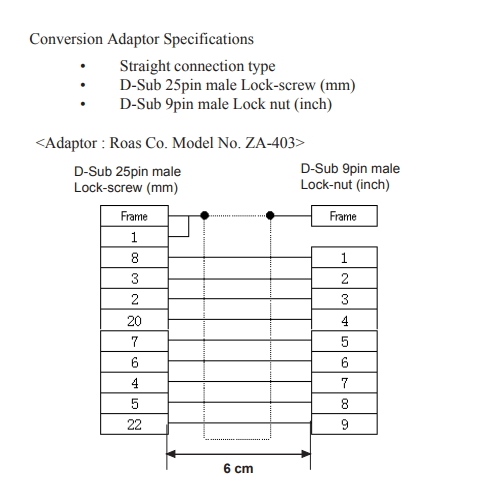 but in conversion adaptor db9 to db25 using pin 20, 6 and 22, there is not straight connection. am I to do something missed? I have check GP447R cable for RS-232. 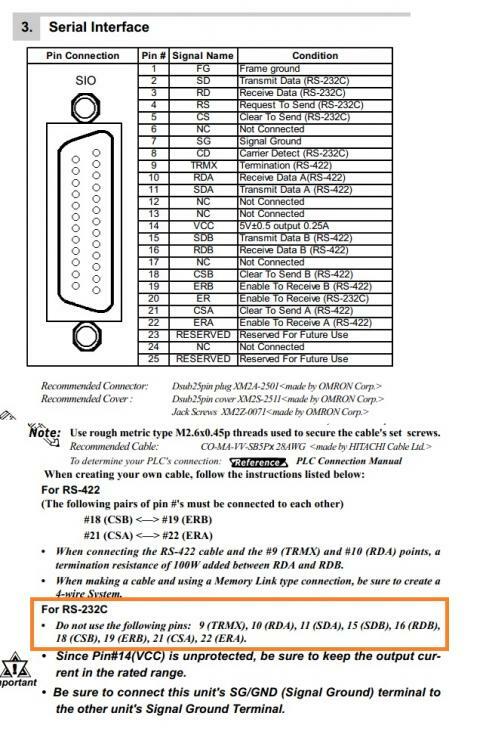 You could use only 2, 3, 4, 5 ,7, 8, 20 to convert to DB9 Pin (don't connect pin 6 and 22). Then create Q30R2 cable and connect it with 25 pin to 9 pin converter. There are no DR on 25 pin they use ER(pin 20) and CS(pin 5) on GP477R instead. i've done trying make own communication serial cable with din6 (port PLC) to DB25(proface) with : 1 RD to 2 SD, 2 SD to 3 RD, 3 SG to 7 SG, 5 DSR to 20 ER and 6 ER to 5 CS. 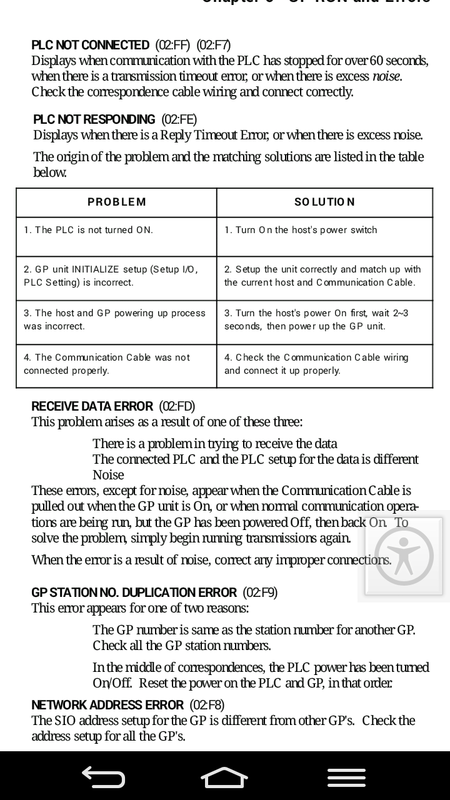 but still error in alarm PLC NOT RESPONDING (02:FE) and RECEIVE DATA ERROR (02:FD). 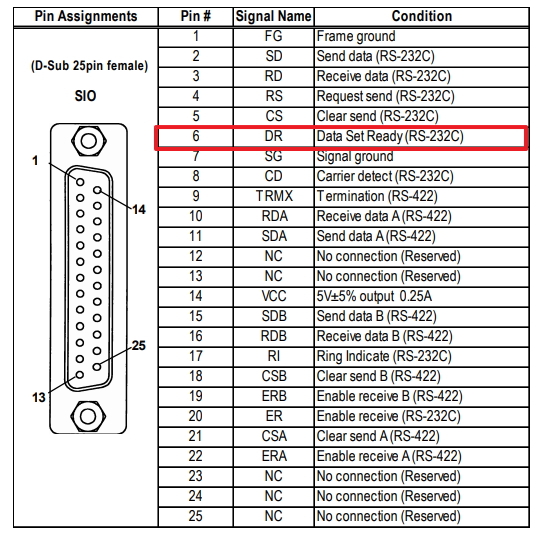 Please connect 6 (DTR from Mini Din 6 Pin) to 5(CS) and 6 (DSR) on DB-25. 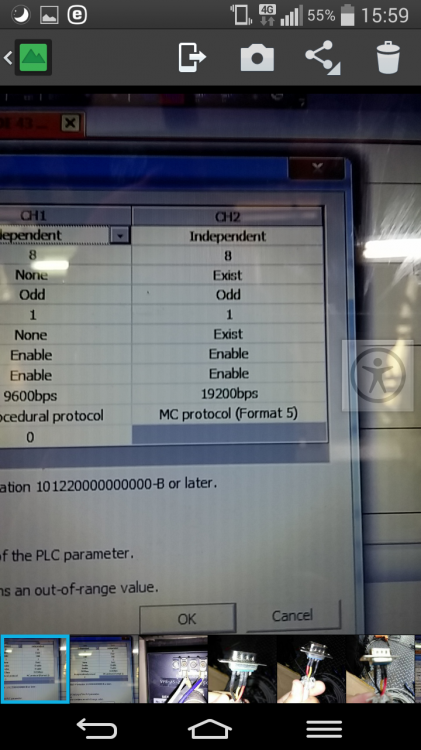 I"ve done connect pin 5 and 6 (jumper in hmi) to pin 6 (PLC)..
but its still the same cannot connect..
Do you have correct setting as shown at page 62? 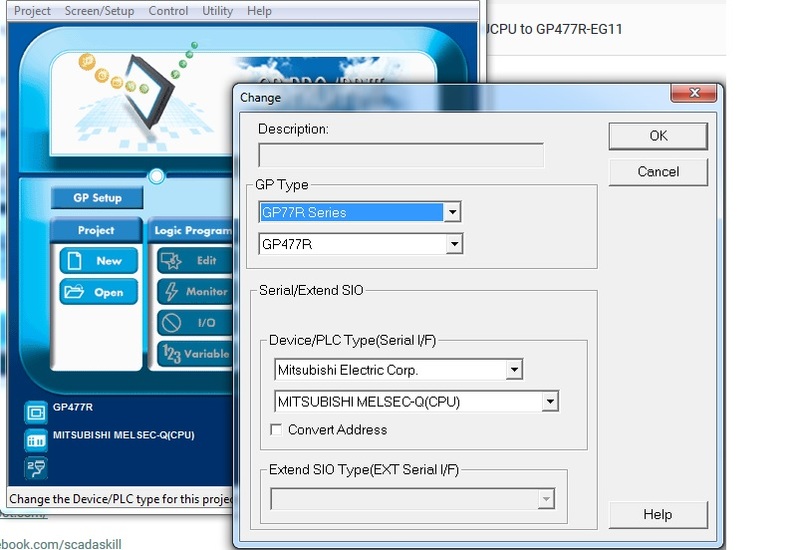 yes sir, I've done do it too, in GX works im not check the checkbox " use serial communication"..
is there a possibble not support type PLC and hmi? Which protocol that you use in GP-PRO/PBIII? I used melsec Q(CPU) for Q02UCPU, am I wrong select this choice? 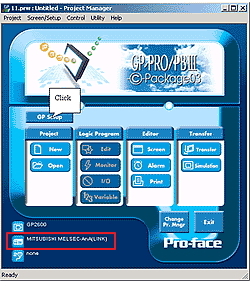 On Proface Brochure they tell that can support Melsec-Q CPU. 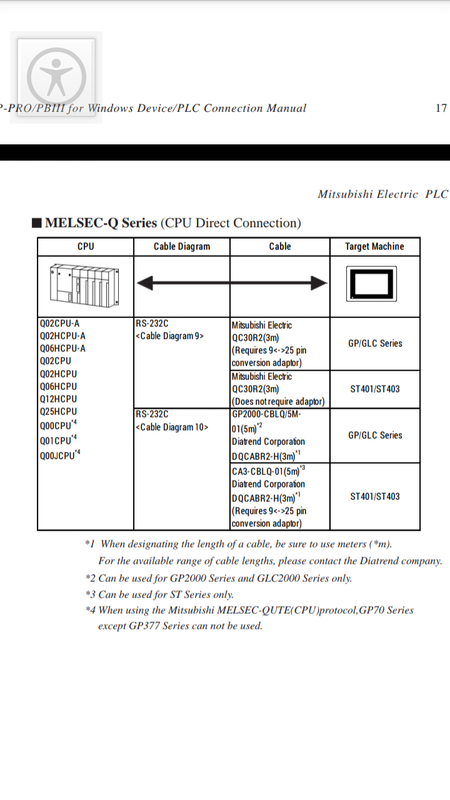 and in Connection manual describe that for Q02CPU use Mitsubishi Melsec-Q (CPU) and your GP-Pro/PBIII and GX Developer setting are correct. You should restart all device and check link cable again. EDITED: I have found GP2000 series Serial port diagram that have pin 6 to DR but GP477 have not. Maybe this is shown that cannot connect GP477R with Q02UCPU? but try to check cable again and will discuss about this again. I check cable Q Series CPU Direct that compatible ( CA3-CBLQ-01 & QC30R2 ) and checked the cable communication that I make manual..
but still error in alarm PLC NOT RESPONDING (02:FE) and RECEIVE DATA ERROR (02:FD).. I think GP477 lack DR(DTR) signal at pin 6. You should contact Proface about this. thx you for ur help sir, i replaced the hmi with mitsubishi again..